All four political parties registered in Uzbekistan are allowed to participate in a presidential election, Mirza-Ulugbek Abdusalomov, chairman of the Uzbek Central Election Commission, said at a briefing on September 23. "Today the registration certificates and forms of subscription lists have been delivered to the authorized representatives of the Liberal Democratic Party of Uzbekistan (UzLiDeP), the Democratic Party of Uzbekistan (DPU) "Milly Tiklanish" (National Revival), the People's Democratic Party of Uzbekistan (PDPU) and the Social-Democratic Party of Uzbekistan (SDPU) “Adolat” (Justice)," Abdusalomov added. Uzbekistan decided to hold early elections on December 4 after the recent death of Islam Karimov,who headed the country for the past 25 years. Earlier this week, the representatives of those parties sent the required documents to the CEC. The list of presidential candidates includes Shavkat Mirziyoyev nominated from the UzLiDeP, Sarvar Otamuratov from "Milly Tiklanish" DPU, Nariman Umarov from “Adolat” SDPU, and Hotamzhon Ketmonov from PDPU. Election campaigns started on September 9. Registration of presidential candidates will be held from September 30 until October 20 in accordance with the action plan for preparations and holding the presidential election. Earlier, Uzbekistan’s Central Election Commission (CEC) has adopted a decision to create constituencies for the presidential election. The CEC has formed 14 electoral districts within the boundaries of the Republic of Karakalpakstan, regions and Tashkent city. 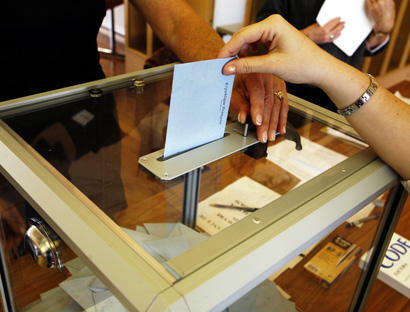 The total number of voters included in the lists of the constituencies is 21.435 million. Uzbekistan’s President Islam Karimov passed away on September 2 after suffering a stroke. The president of Uzbekistan is elected for a period of five years.